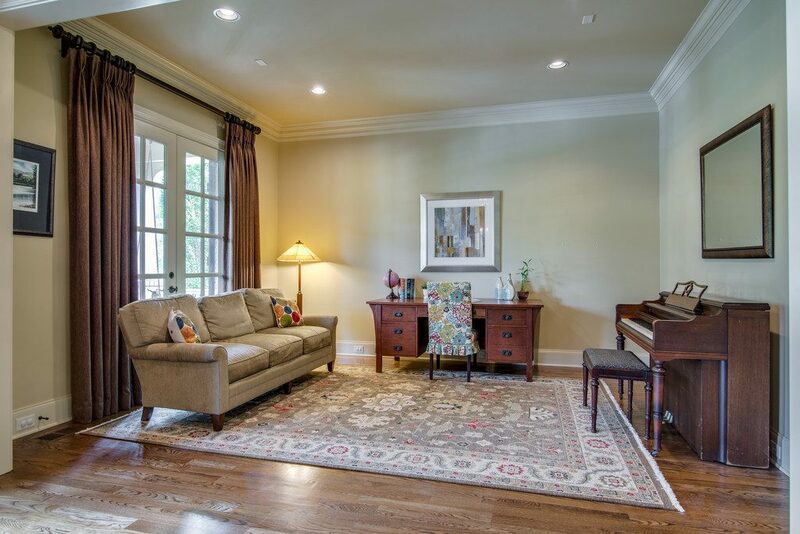 This week’s Showcase Home is remarkable – ready and waiting for your family to enjoy. 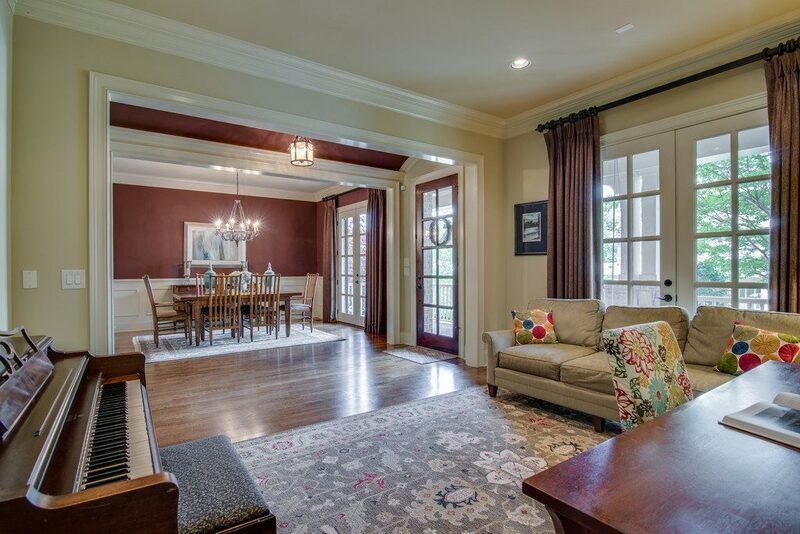 Complete with mature landscaping, fenced yard and a traditional welcoming Southern porch, 1017 Falling Leaf Circle is located in the beautiful and gated Windstone neighborhood in Brentwood, not far from Scales Elementary. 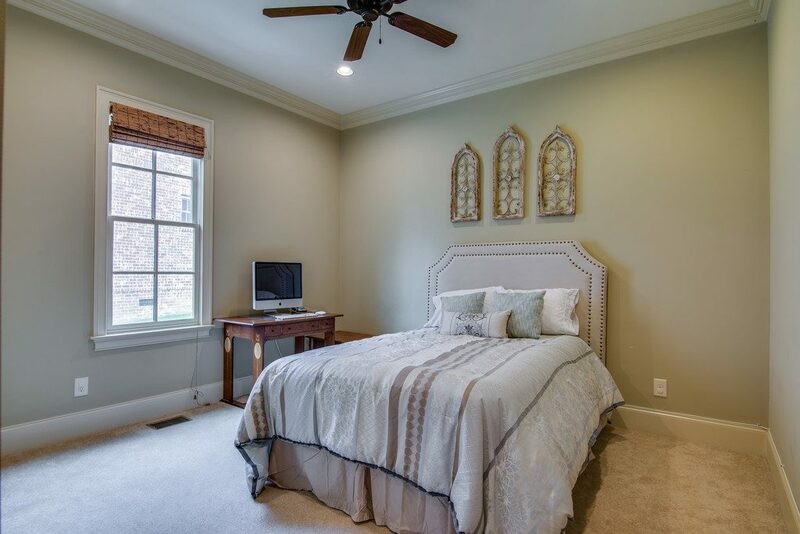 It includes the features families are looking for today, including two first-level bedrooms – a fabulous master bedroom and guest suite – two bonus rooms, a lovely outdoor terrace and a private suite over the garage. 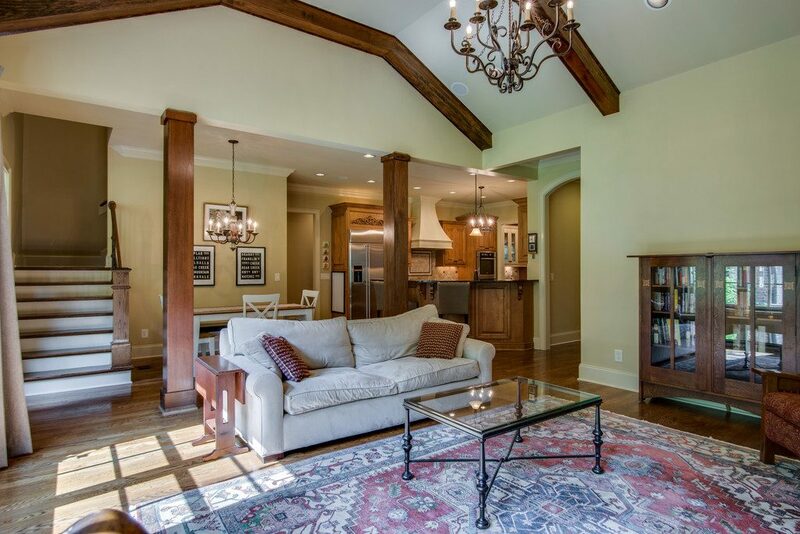 Boasting a spacious five bedrooms and five baths, this newer 5,001-square-foot residence features a bright center hall with an arched ceiling and gleaming hardwoods flanked by a dining room on one side, and study area on the other. 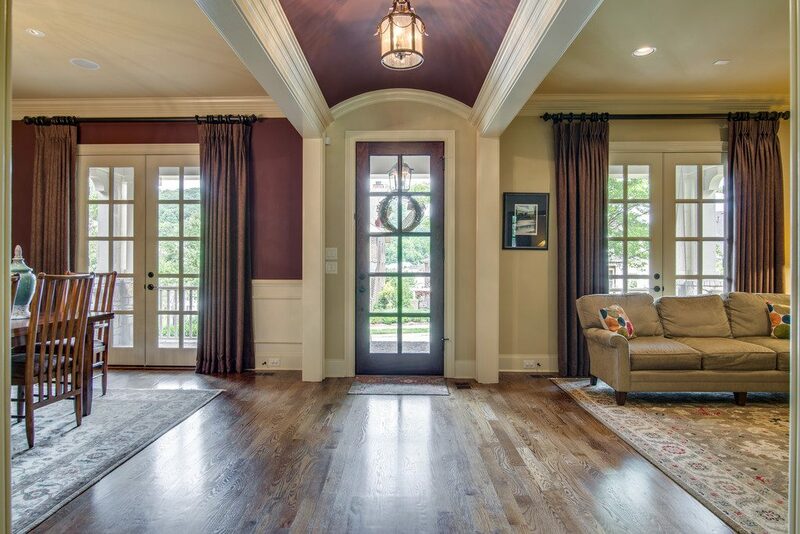 Each room features a large French door that leads onto the brick front porch. 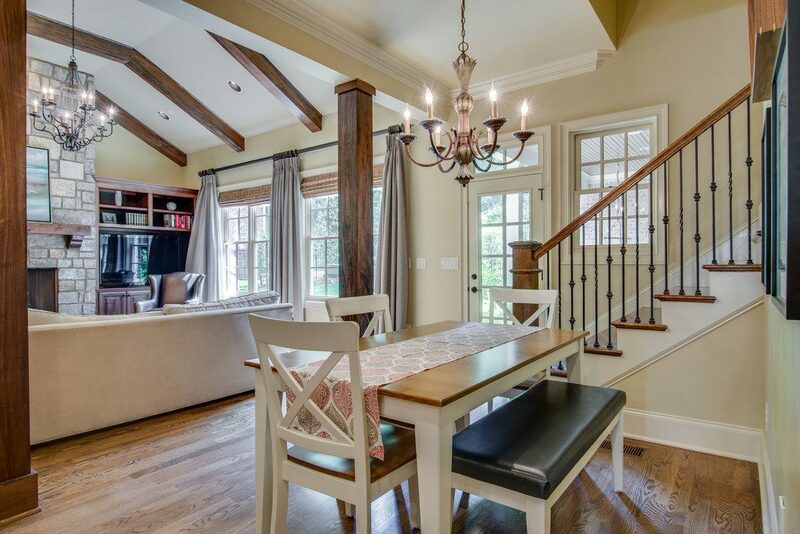 Beautiful moldings frame each space, with wainscoting and a custom chandelier making a statement in the dining room. 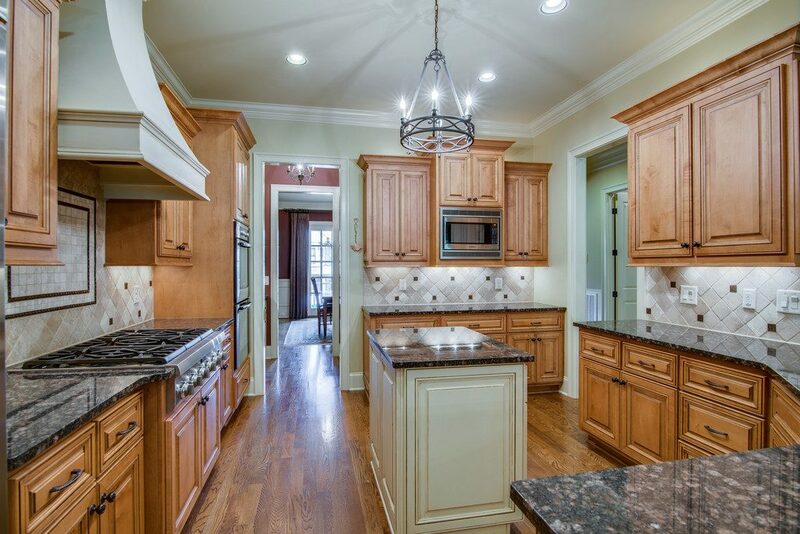 A butler’s pantry with granite counter top and plenty of cabinets help make serving easy. 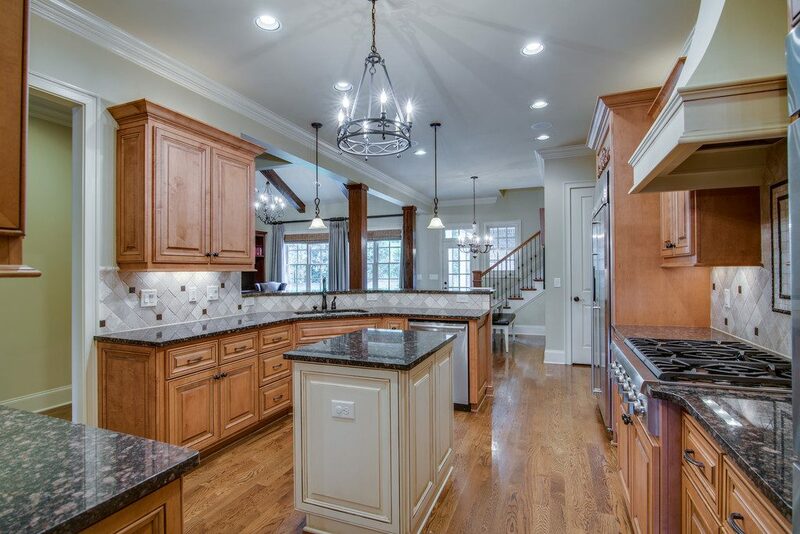 In the rear of 1017 Falling Leaf Circle sits the large, open, eat-in kitchen with beautiful, timeless cabinetry; center painted island; and high-bar seating. Beautiful touches include a gorgeous custom chandelier that hangs from the center of the room, pendant lighting, wonderful granite and a tumbled tile backsplash. All of the appliances are stainless steel, including double ovens and a six-burner gas range that the cook in the family will adore. 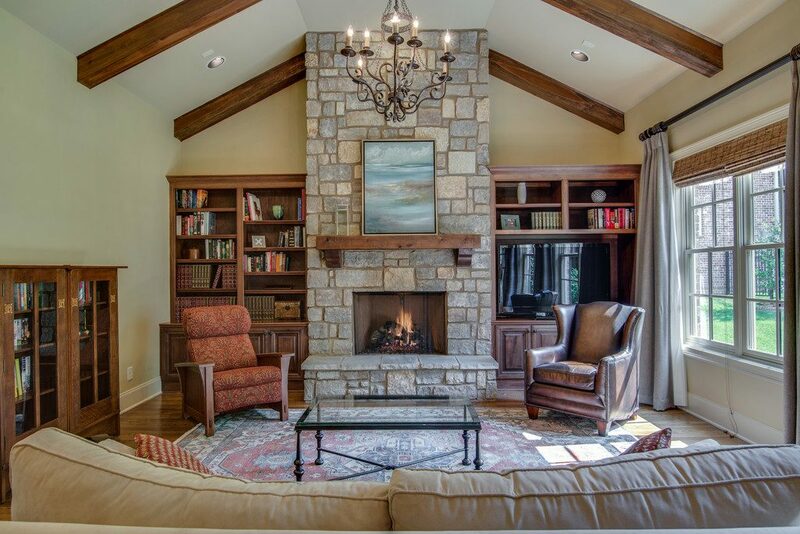 The kitchen connects to the warm and welcoming family room, complete with a vaulted ceiling with stained beams and custom chandelier, a wall of windows overlooking the backyard and a stunning stone fireplace flanked by handsome built-ins. 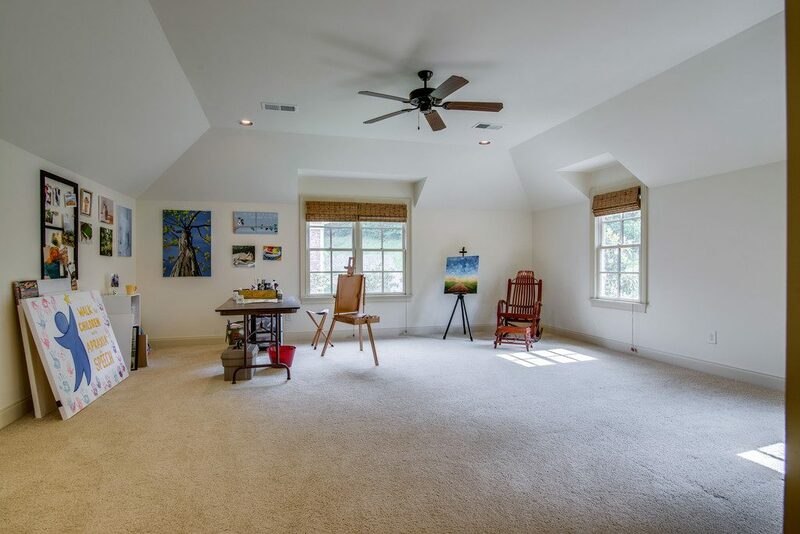 The layout of this space makes it an ideal area in which to entertain friends. 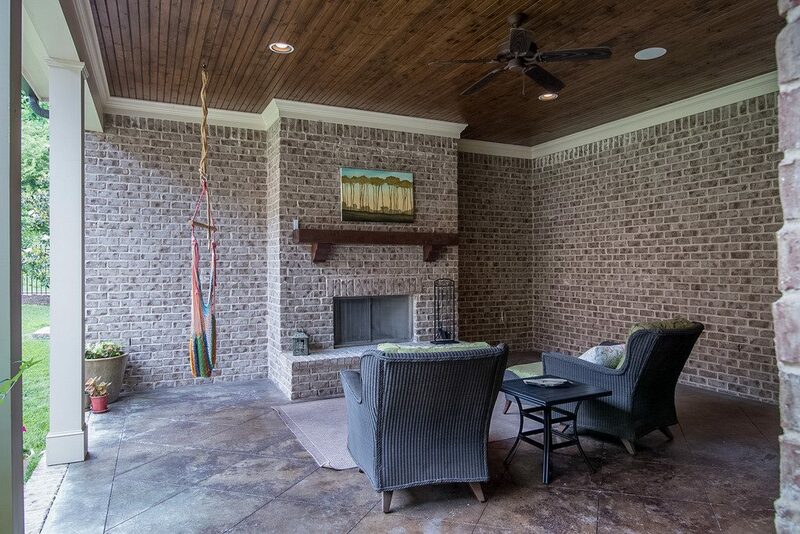 A door leads to the covered back porch that features a fireplace with mantle and overhead fan. 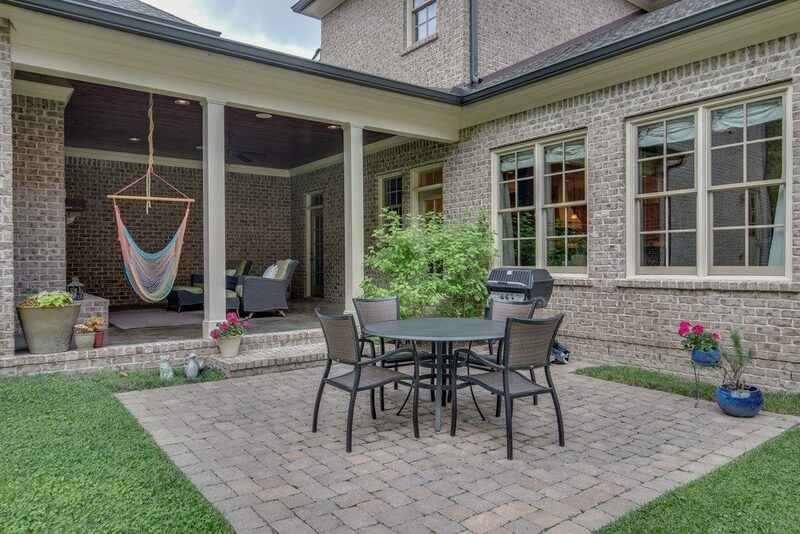 Nearby is a patio where you can enjoy the sunshine and scenery of the hills in the distance and impeccable landscaping. 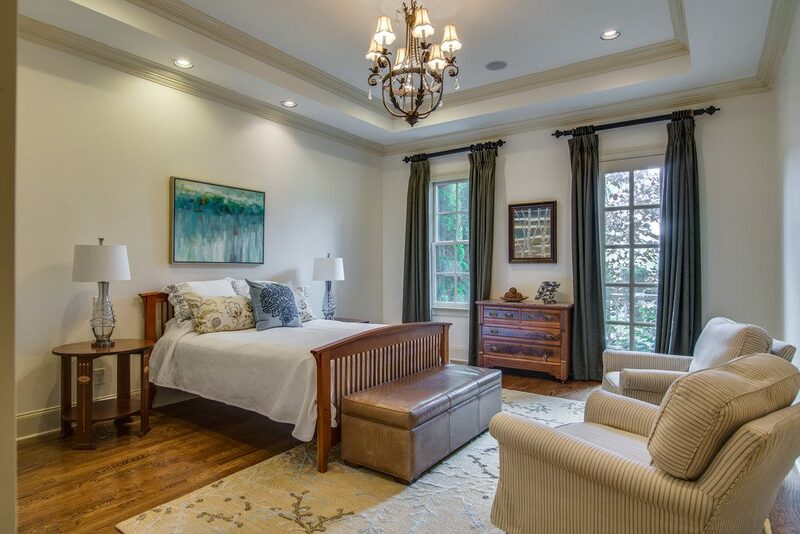 The first level master bedroom is generously sized and features hardwood flooring and a chandelier set in a lovely trey ceiling. 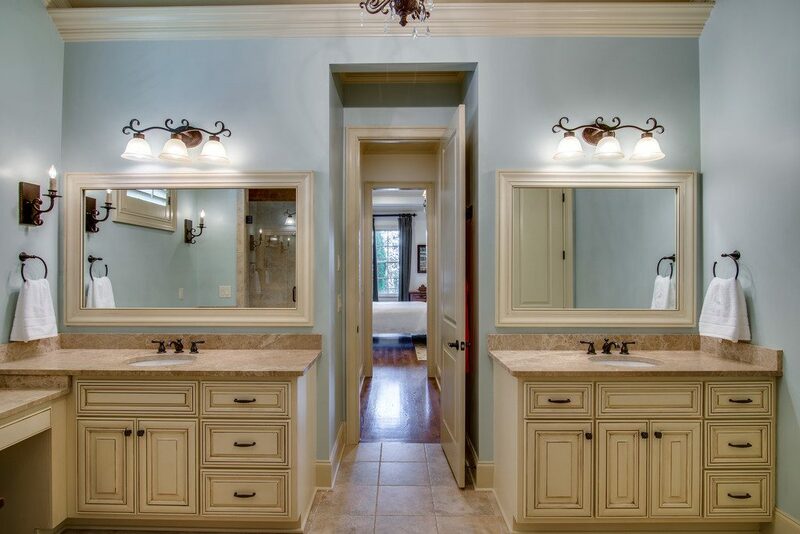 The serene master bath won’t disappoint with a stunning iron and crystal chandelier, his and her sinks, a make-up counter and wonderful glazed cabinetry. You’ll adore the large soaking tub on long days and appreciate the roomy frameless shower. 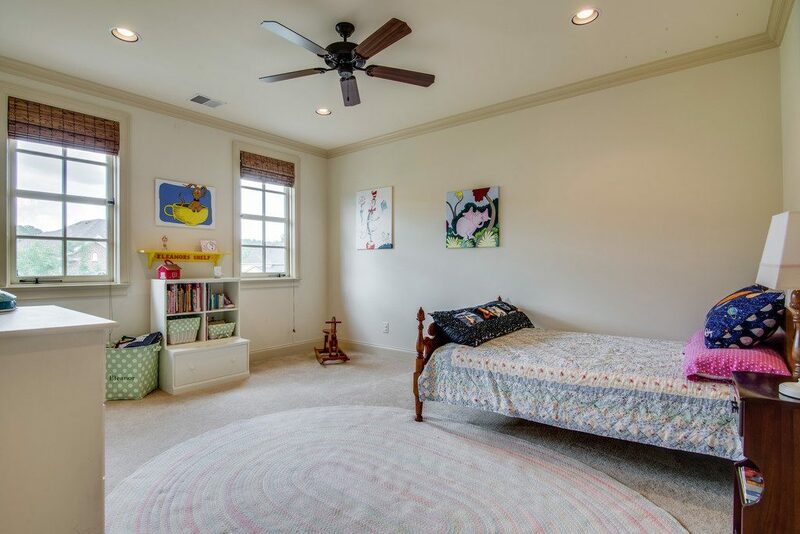 At 1017 Falling Leaf Circle, the space is incredible and leaves your family with so many options. 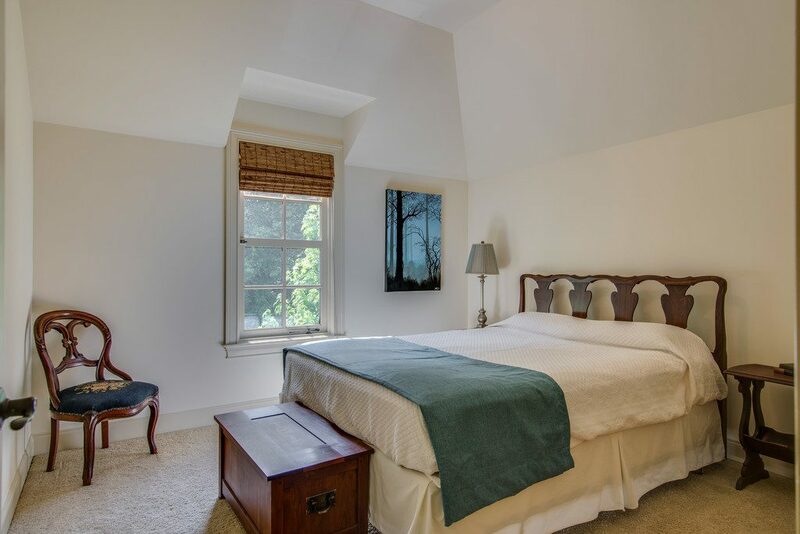 The second main level suite is perfect for guests or a teen. 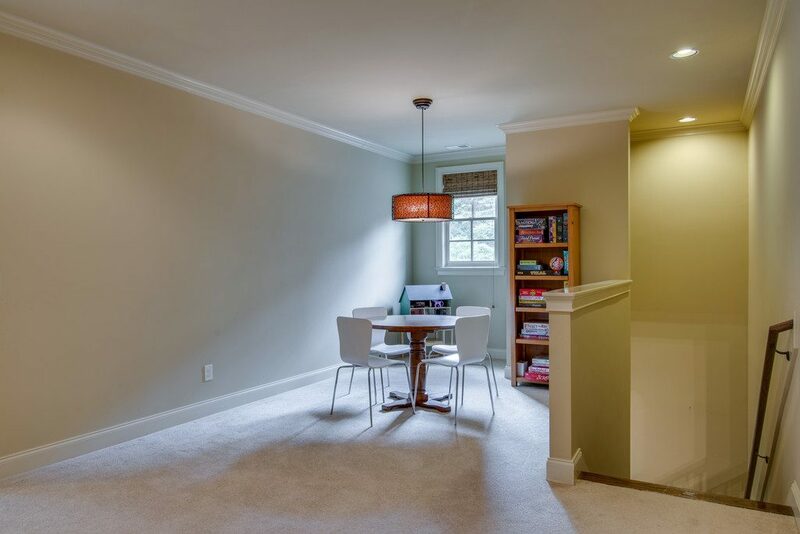 Also, the private suite over the garage can be used in many ways – as an in-law suite or office space. 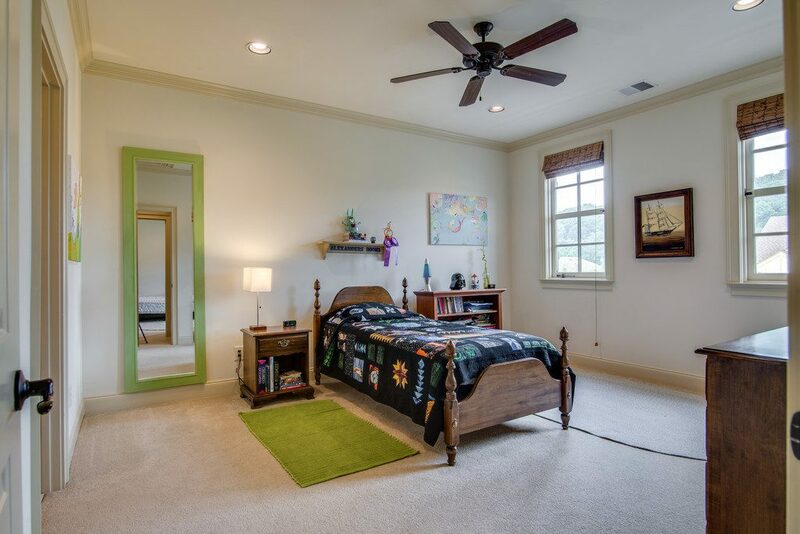 The kids will appreciate the two bonus rooms, as well. 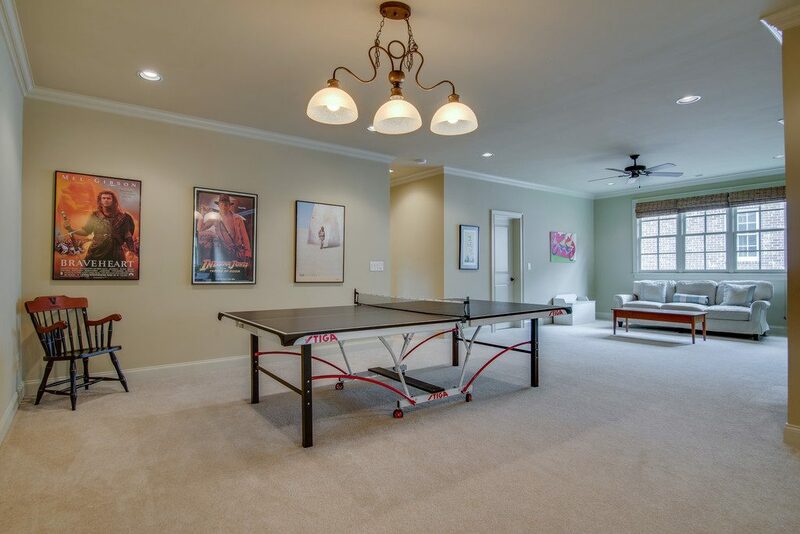 With a game room, media room and playroom, the options are endless! 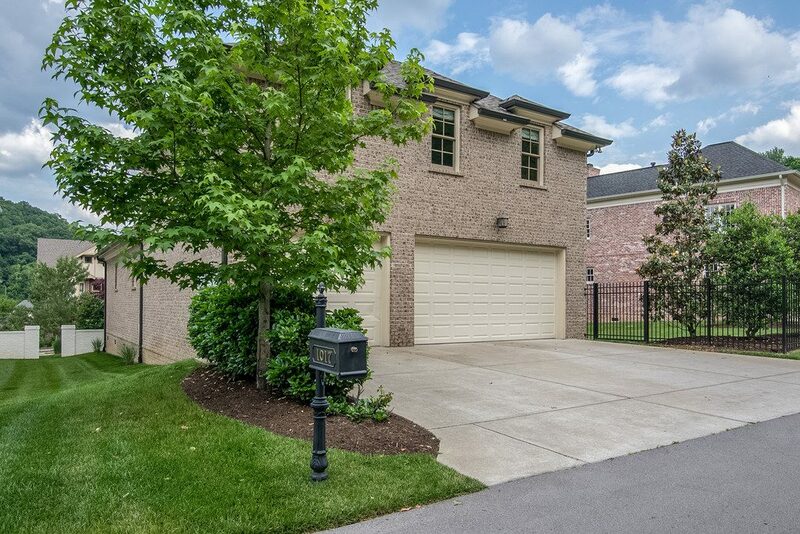 1017 Falling Leaf Circle is listed at $1,139,000. It’s zoned for Scales Elementary, Brentwood Middle and Brentwood High. Call Marty Warren or Wendy Warren Bradley of Zeitlin Realty today at 615-973-8757 or 615-566-6930 for more information or to see this property.